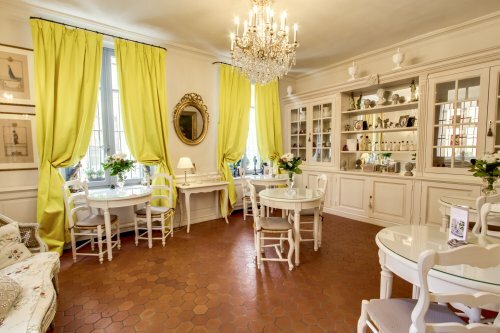 The Charming hotel Of Four Dauphins, bourgeois house of the XIXth century, will be happy to welcome you in a sophisticated and warm frame, in the center of Aix-en-Provence, in the district Mazarin, just a step from the course Mirabeau. 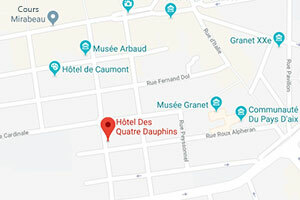 Allying tradition and comfort, thirteen rooms of the hotel of Four Dauphins are quite decorated with a particular attention offering a soft and soothing atmosphere. Breakfasts are served to the lounge in an elegant and friendly frame.